Deformation – Disruption imply normality of the genome. However, note that regeneration or repair is under genomic control. 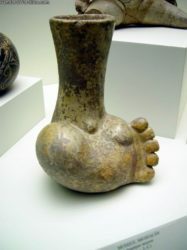 Torticolis and “club” foot are common anomalies (deformations).